1. What size should I order? 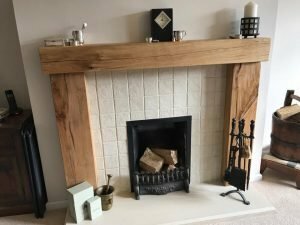 / Can I order any size oak beam fire surround? 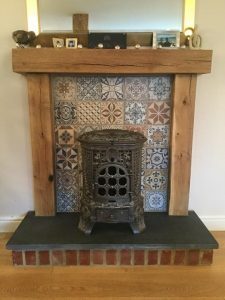 There are two sizes to consider when ordering your fire surround – The upstands and the mantle itself. For each piece, you will need to consider the size of the cross-section (width x depth) and its length. 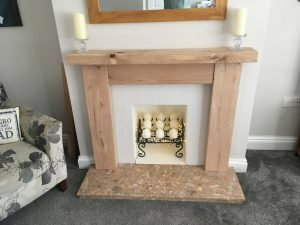 What size oak fire surround you actually choose comes down to the size of the fireplace that you want it to surround and your style preferences. Some customers prefer chunkier upstands, other customers prefer a more subtle look. We can cut down the beams to any size. Just order the size above your requirements and specify the exact size you want the beams finished at in the order notes when you are checking out. It is worth bearing in mind that the size you select in the drop-down is the starting size and a few mm will be planed off each side of the beam during the process. 2. Will the oak move/crack? Probably. 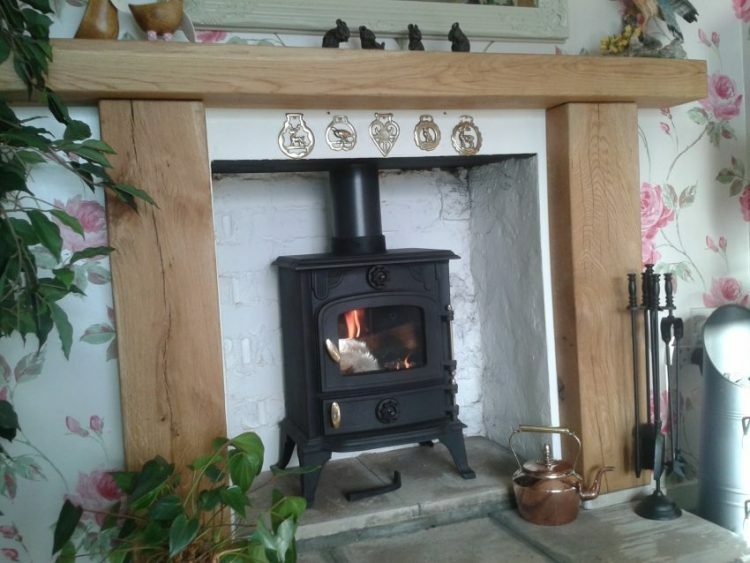 All of our oak is air dried and will continue to move as it acclimatises to your home. This will often result in cracks that will add character to your beams but will not affect its structural integrity. 3. How are they fixed/installed? We supply 6 brackets per fire surround. Two each to fix the upstands to the wall and two to hold the mantle in place on top of the upstands. 4. What style finish should I choose? The style that you chose comes completely down to your taste. Some people prefer the contemporary style, where the edges of the beams are straight. 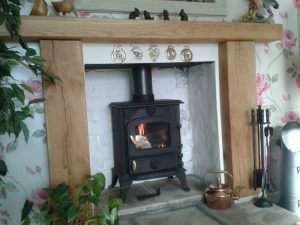 We are also able to offer beams lightly worked or heavily worked for a more rustic effect. You may find that you already have oak furniture in your living room/kitchen and may wish to choose the style that matches the style of your home. 5. And what oil should I choose? 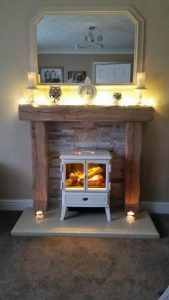 We have a selection of oils which are included in the price of all planed and sanded oak fire surrounds. The most popular oil choice is Pure Oil which closely resembles danish oil. This will darken the oak’s natural colour slightly and enhance its features. If you wish for your beam to have a slightly lighter colour, then we would recommend either the mist or smoked oak oils. 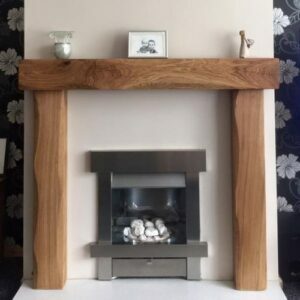 If you have any other questions about our oak beam fire surrounds, please do not hesitate to contact us and we will be more than happy to advise.